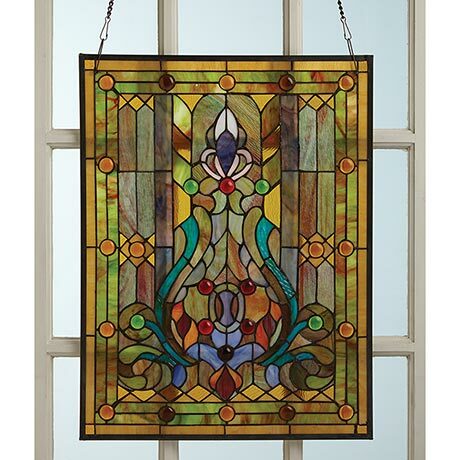 Ready to glow in a sunlit window, exquisitely crafted panel is fashioned Tiffany-style from 289 cuts of art glass and 30 jewel-like cabochons joined with copper foil. Curves, lines and angles combine in a motif inspired by Victorian design. 19"w x 25"h. Includes 30" hanging chain. No gift wrap or rush delivery.